Ever since the night of November 4th, I’ve felt sad and somewhat helpless about the future. Lots of changes are going to happen and have already begun to happen, and pretty much all of them are for the worse for this country and is many diverse and wonderful people. I’ve done what I can, donating when I can afford it. When I heard that a publisher I have respected for decades, Simon & Schuster, plans to publish a book – after a book deal for a quarter of a million dollars – by white supremacist Milo Yiannopoulos I was incensed and angered. Simon & Schuster says it is an expression of free speech. 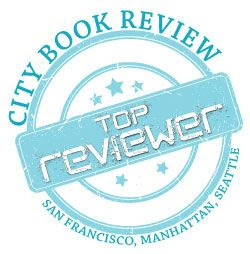 When I learned that an online publication I work for, City Book Review, which includes multiple online publications of book reviews, was boycotting Simon & Schuster, along with others, there was no hesitation. Finally, I could do something. I immediately joined the boycott. Below is the email I sent to every Simon & Schuster publicist I could find. I understand this punishes the authors as well as the publisher and its imprints, but it also sends a strong message, and the authors may want to think about the publisher that represents them. I encourage you to join me in boycotting Simon & Schuster. It was extremely disappointing to discover one of Simon & Schuster’s imprints is publishing white supremacist Milo Yiannopoulos’s book. When it seems like daily this country moves one step deeper into the quagmire of racism, bigotry, and hatred, as well as the bullying and harassment of women and minorities, giving this man a lot of money and publishing his voice from a publisher I have respected for years is one more step in completely the wrong direction. Your publisher claims it is freedom of speech. So were speeches made by Hitler, Stalin, and so many others throughout history. I will be expressing my freedom of speech, in joining The Chicago Review of Books, San Francisco Book Review, Manhattan Book Review, Seattle Book Review, Kid’s Bookbuzz and Booksmith, and Bookbanter will no longer be reviewing a single book published by Simon & Schuster or any of its imprints. I join those in a growing voice hoping Simon & Schuster will make the right choice about this disgusting book deal. That’s What I’ve Been Saying All Along . . .
September 9, 2013 September 10, 2013 bookbanter Publishing World	Angry Robot, Clonefiles, ebooks, Ebooks vs. Print, Kindle MatchBook, Print Books, Where's the Digital Copy for Books? There are two programs starting up in the publishing world employing an idea that I’ve thought should’ve been done years ago, possibly around when ebooks started becoming readily available and sold. You see, that day was the day the war between ebooks and print books began, and there really didn’t need to be a war. It should’ve been more like one of those two-in-one books where you have one book on one cover, then you flip it over and have another book with another cover. A symbiosis that wouldn’t have called for allies coming together to battle the enemy. Kindle MatchBook will begin next month, offering to customers the option when they purchase certain print books to get the Kindle ebook edition for $0.99-$2.99 or even free. Now, this isn’t every print book Amazon currently offers, but it’s an important start that will hopefully grow and grow and make this program seem the normal thing and eventually be omnipresent with books and reading. Angry Robot’s is also has its bundling Clonefiles program, which was given a trial run in Britain last year and is now coming to the US, where customers who buy a paperback from a participating independent bookstore, can get the ebook for free. Again, hopefully this is the start of something that will take the publishing world like wildfire and become a common facet in the near future. In March of this year I published my column, Where’s the Digital Copy for Books?, where I explain my hope for the publishing future where print books and ebooks live happily together, where a customer buys a print book in a store or online and said customer automatically receives a free ebook copy, so that multiple people in a family can enjoy the same book at the same time. In a column I published in May, “Doing What’s Right,” I talked about the eventual cancellation of a young adult anthology, Wicked Pretty Things, edited by Trisha Telep. Due to Telep wanting one of the stories “straightened,” many authors and readers began to spread the word on this, which led to the end of the anthology. The publishing world seems to be stepping its foot in it once again, when two known authors — Sherwood Smith and Rachel Manija Brown — were trying to publish a young adult novel with gay characters and were told by an agent that it would not get published because of this. Here is Rose Fox’s article at Publisher’s Weekly on this. And now word is spreading through mainstream media, on blogs, and just about everywhere. The Guardian even did an article recently on the matter. Cleolinda on her blog, Occupation:Girl, has done a great job of covering the back and forth and linking everyone has done since the article was published. Nicola Griffth, the bestselling author, had a great post on her blog. Malinda Lo has also done a great job of posting important stats on this subject. And the other N. K. Jemisin has also weighed in with her thoughts. There is no easy answer here. What’s impressive about it is how quickly and easily everyone can share the links and information and provide their own commentary and thoughts and opinions. Smith and Brown had originally kept the identity of the particular agent secret, and said agent then chose not to. While it may not have been their original intention, at the very least this had brought this important subject that needs to be addressed to the forefront of publishing and the internet. James Rollins’ next thriller, Devil Colony, isn’t due out until June 21st, and yet it brings up lots of questions on the founding of the United States and some of its shrouded history. In this teaser video leading up to the release of the book, Rollins address some of this questions and talks a little about what readers will find in Devil Colony. Readers impatiently waiting for the release can also be a little satisfied with an ebook short story, “Skeleton Key,” which Rollins has released for just ninety-nine cents featuring a fun story about his enigmatic character, Seichan traveling around the dark, dank catacombs of Paris which will be available tomorrow, May 31st for download. You can also preorder it. A written interview with James Rollins will be appearing on BookBanter on June 15th, along with a special giveaway of Devil Colony. When I began interviewing authors on BookBanter, my goal was to be equal and even in who I interviewed. 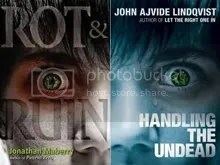 In the books I read and review, I am open minded whether the author is associated with a national publishing house, or a smaller independent one. If the story is interesting, I’ll read the book and give it a try, especially when the author or publicist contacts me. I feel this is the point of BookBanter: to provide authors and books to readers who may not have heard of them before, no matter which publisher they are associated with. The world of publishing is changing, and it is thanks in part to the Internet and blogs and websites like BookBanter; at least I like to think so. Cover Mashup: What Were They Thinking? I believe the same stock photo was used. Still . . .